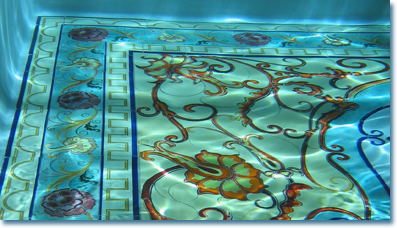 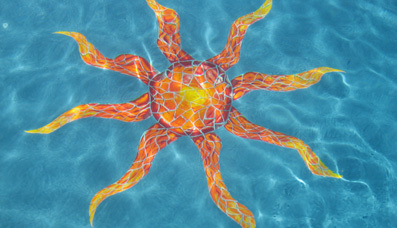 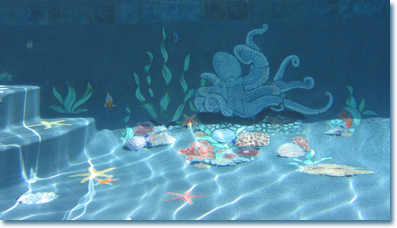 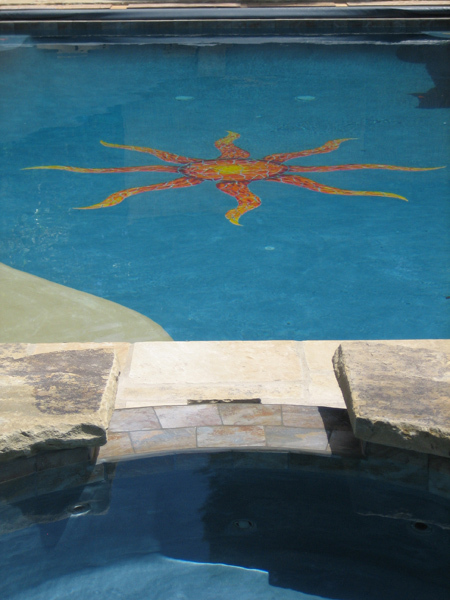 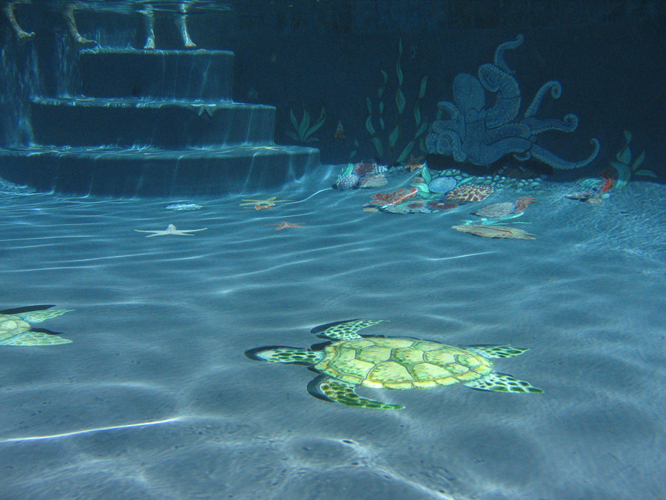 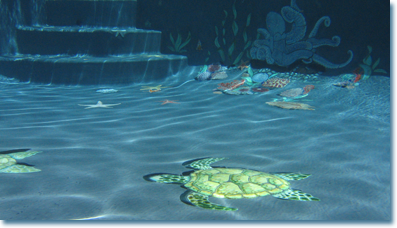 The Octopus’s Garden Pool - This pool is an example of how you can make a recreational space come to life. 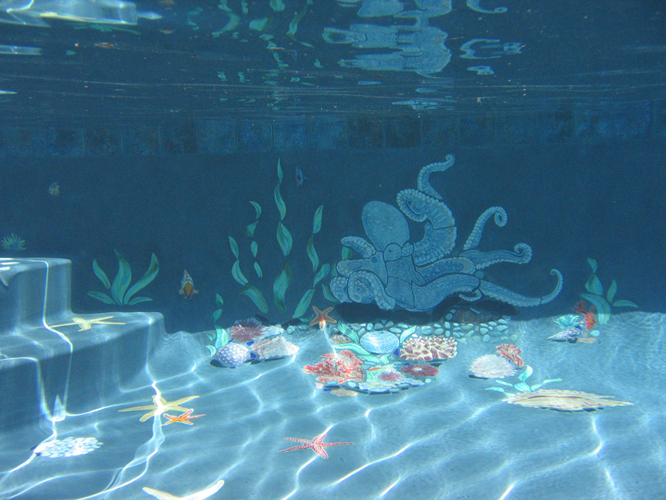 The Octopus sits in her garden near the stairs with fish swimming around and sea life growing from the tile reef. 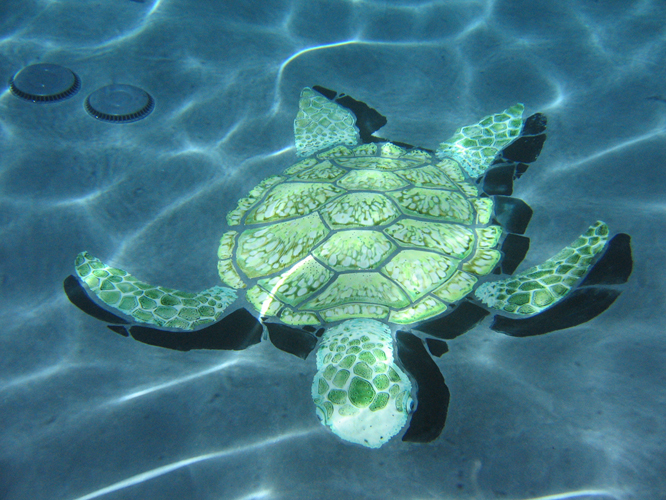 She looks out into the pool where two turtles are swimming towards her. 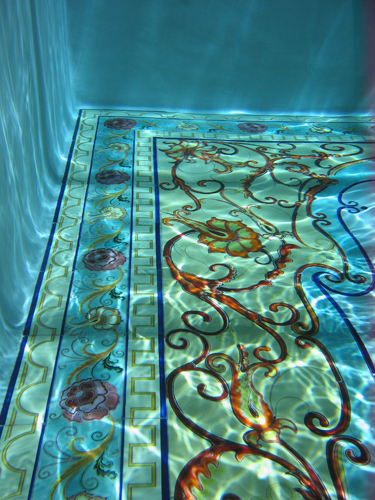 They are slightly 3D and look very real. 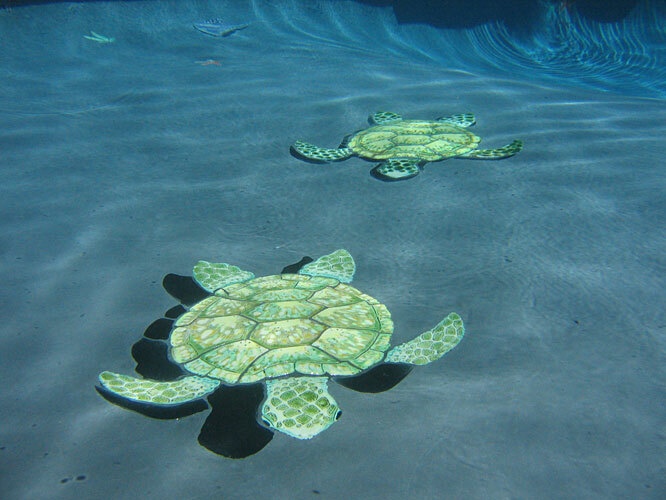 They actually seem to glide across the bottom of the pool and come straight for you. 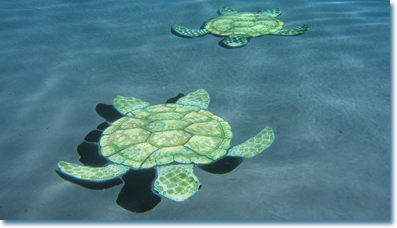 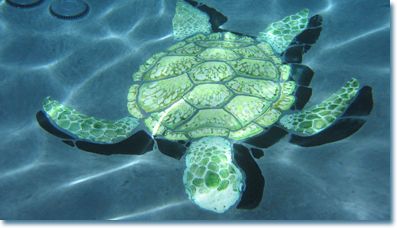 There�s nothing like swimming with turtles!